Moving house can be a stressful process, so it’s a good idea to hire a removal company that knows what they’re doing. Here at house removals in Kennington, SE11 we offer a quick and easy removal solution with just the right amount of flexibility. We’ll dispatch a team of movers to help make your house relocation simpler. All of the hard work, like the lifting, loading and so on is in experienced hands, so you don’t have to worry. In short; domestic removals have a level of quality that’s up there with the best, so it’s a lot easier to relax and think about the positives. Office removals are an often necessary but important part of a company’s growth. In order for a business to expand their services to a larger audience, it needs to relocate to a more suitable and larger location. Here at commercial removals in Kennington we understand this, and will take your commercial relocation seriously. Our highly accomplished removal team will take care of the physical move, which, in turn leaves you with the time and energy to focus on other things. 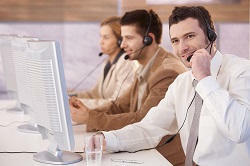 The day to day running of the business won’t be affected because our removals are conducted in a non-intrusive manner. So there you have it, business relocations in SE11 area don’t have to be a complicated process after all. If you’re moving on a budget make the right choice and consider man and van company based in Kennington, SE11. We’ve got a lot to offer to both first time movers and veterans alike, like a high level of customer service as well as a flexible and dependable array of van and man services. We’ll dispatch an experienced and knowledgeable removal team at your convenience to take care of the more laborious moving jobs, like the heavy lifting and loading. This, in combination with the affordable price tag makes budget moving less of a handful. So for a stress free removal experience that won’t break the bank, give our man with a van a bash! Moving can be tough, but choosing our man with a van movers in SE11 is everything you need for a professional and easy move. Like with the rest of our moving services, our man with van hire in Kennington is an affordable and dependable way to get your goods from A to B. Our man and van combination is second to none; we’ll dispatch a team reliable moving professionals and a properly maintained removal van. Together, they’ll make your move as simple and stress free as possible by taking care of all of the hard jobs; the lifting, loading, furniture disassembly and the packing are all taken in our mover’s stride. In short, man and a van is a budget removal service that provides everything you need to make a quick and easy move. When you’re moving home, it’s best to go for the reliable moving option- our removal van hire in Kennington, SE11. It’s good to feel like you’re in control of your move, and a level of control is what a high quality vehicle removal company gives to you. You can conduct your removal the way you want to, we’ll just lend you the assistance that you need. There are plenty of moving vans to choose from at our van hiring centres – from small vans with an emphasis on maneuverability to large ones with capacious load bays. When you hire with us, you choose what type of move you want to make, all we’ll do is make sure that everything works the way they should. If there’s one thing that our removal services can guarantee, it’s a safe and secure home removal for all of our clients. This is thanks in part to the flexible removal options we offer. We provide a solid moving service as standard but there are plenty of options available to make your job even easier, like packing services and removal storage. That’s not all - our movers in SE11 region are friendly and experienced, so they’ll provide a high quality service with a courteous attitude to boot. Moving home shouldn’t be a stressful experience, so sit back and let our removal company located in Kennington take care of it! The ideal removal company is flexible, affordable and pleasure to do business with. That last part is generally overlooked, but a good business relationship goes a long way. Being able to trust the removal company in Kennington, SE11 you’re working with is important, and should be at the top of your priority list when looking for movers. Here at moving companies, we understand this and as a result we take our customer’s removal requirements very seriously. The moving teams that we dispatch are as experienced and hardworking as they come. They’ll take care of all of the removal tasks, from the lifting and loading to the packing and furniture disassembly. If you need something moving, be sure to hire a removal firm that you can trust – give us a call today! We all could all do with a bit more storage space in our lives. Think about what you could do with that box room if you had it de-cluttered. You could actually make something of it; like a bedroom, or an office… pretty much anything! To do this, you will have to have a mass clear out, and not everything can be thrown away. For those few things that you just have to keep hold of, there’s self storage in Kennington, SE11. 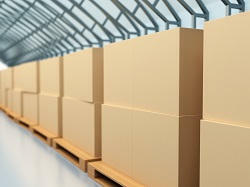 We offer a wide range of storage units, each of them for a different purpose. There’s locker sized storage for trinkets and documents, room sized ones for general household items, and garage sized units for vehicles and gardening equipment. So if you're looking for some affordable secure storage, look no further. On your list of moving priorities, the packing process should be near the top. It can be a complex one, especially if it is not planned properly. It can get complicated, but it doesn’t have to be. Here at packing and boxes in Kennington, there’s a great deal on offer; packing materials, packing services in SE11 region and other general assistance. Moving supplies that are not up to snuff could end up ruining your day, so get in touch with us and we’ll hook you up with some that’ll stay in one piece. We’ve got packing boxes, bubble wrap, packing tape, and everything else that you’ll need. We’re a packing supplier that guarantees quality, and we hope to make the moving process a little less complicated. Find our professional Kennington man and van company. 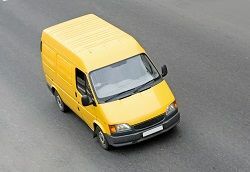 We are one of the best Kennington man and van companies that you can always rely on! Don't waste time and give us a call today! Fantastic and cheap removal services. I do not regret having used Relocation Firm Kennington during my relocation. I thought that moving office would be deficient and expensive! I booked with Removals Kennington and didn't regret it. They made the process a walk in the park and at a low price! Relocation Firm Kennington delivered a prompt and efficient office relocation service for our company. And to top it all off, the price they charged us was way lower than the other offers we'd gotten. Will recommend. Removal van hire seems very expensive but Removals Kennington offered us a really affordable deal and I'm pleased to say that this cheaper pricing in no way reflects their service. In fact, I would say their service is top-notch and for the price you pay, it's definitely not to be missed! Company name: Kennington Man and Van Ltd. Description: Let the hard removal work in the hands of our reliable movers who operate in Kennington, SE11 by dialing 020 3744 6242. Prices cut in half only today so act now! © Copyright 2013 - 2015 Kennington Man and Van. All Rights Reserved.